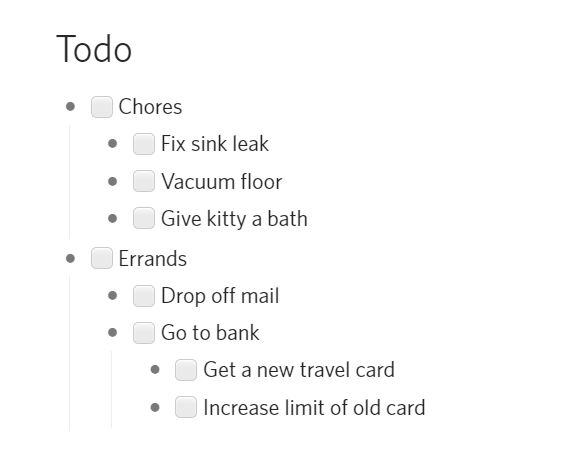 To convert a list into a checklist, open the item menu and select “Make checklist”. You can also press Ctrl+Shift+C when focusing on an item. This will make all its subitems have checkboxes as well. First, focus on the item you want to convert to a checklist. This will bring up a sliding toolbar will appear at the bottom. You can then tap on the ☐ icon (checkbox icon) to convert it into a checklist.